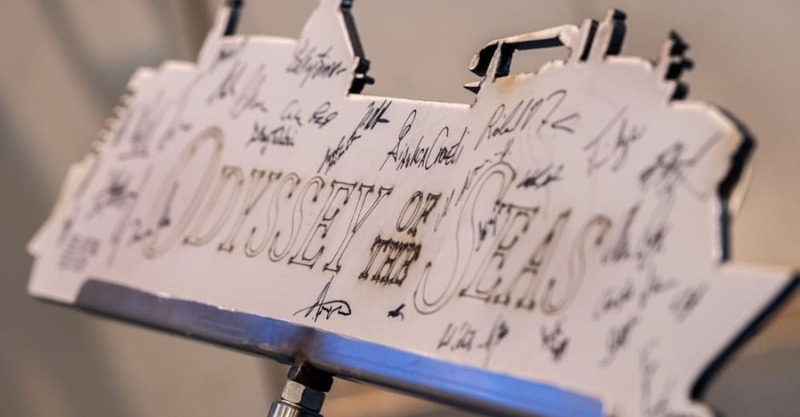 Royal Caribbean has celebrated a major construction milestone with the first piece of steel cut for Odyssey of the Seas which is arriving in 2020. The first piece of steel has been cut for Odyssey of the Seas, a Quantum ultra class cruise ship which will arrive at the end of 2020. This marks a major construction milestone as the development and design phase comes to an end and the physical build process starts. The ship is being built at the Meyer Werft shipyard in Papenburg, Germany. This is also the first time Royal Caribbean has revealed the name of the ship which will be the sister to Spectrum of the Seas coming in Spring 2019. The cruise line is set to revealed further details about Odyssey of the Seas at a later date so we’ll just have to hold tight until then. We do know she will be around 168,666 tons, have a guest capacity of 4,246 at double occupancy and a total of 16 decks for crew and guests. Her sister ship Spectrum of the Seas is under construction right now and will soon start the final phase before entering service in the Spring. The ship will be based out of China and many features onboard are being constructed for that market. Odyssey of the Seas will become the 27th ship in the fleet. Keep checking Cruise Hive as we learn her features and itineraries through the year.